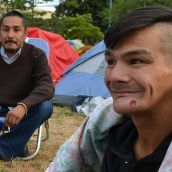 OPPENHEIMER PARK - Indigenous homelessness activists are waiting for the City of Vancouver to get out of town. 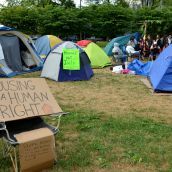 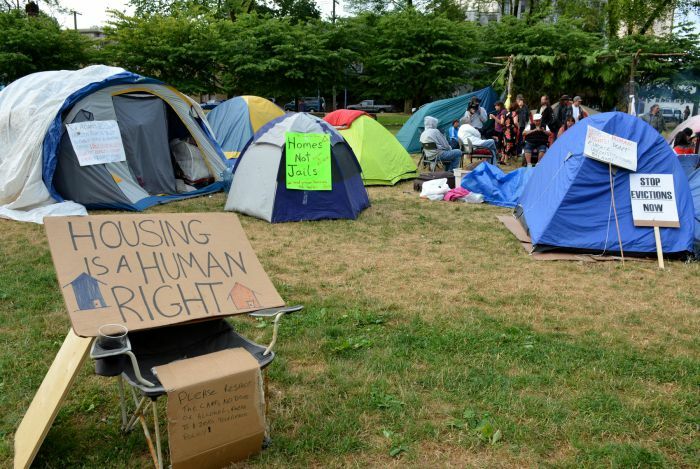 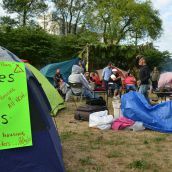 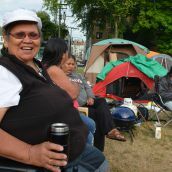 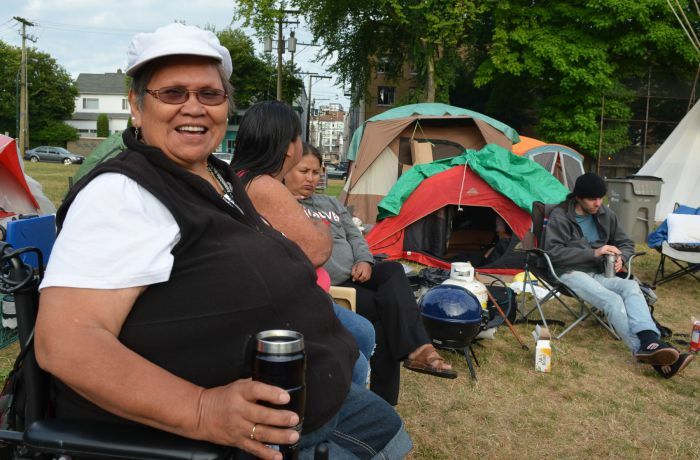 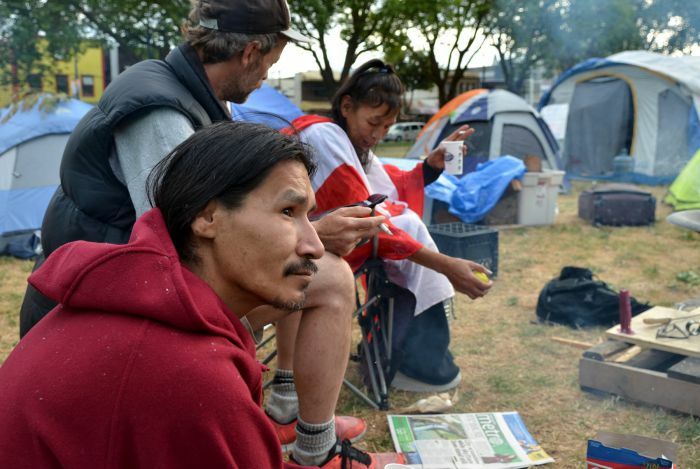 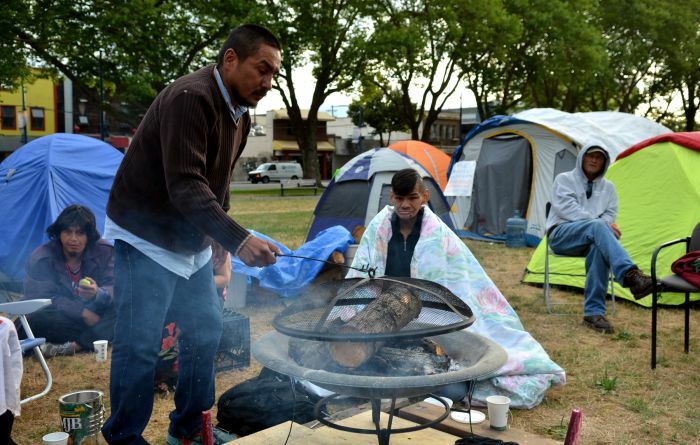 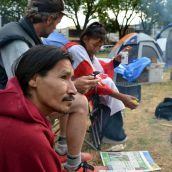 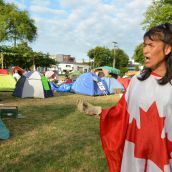 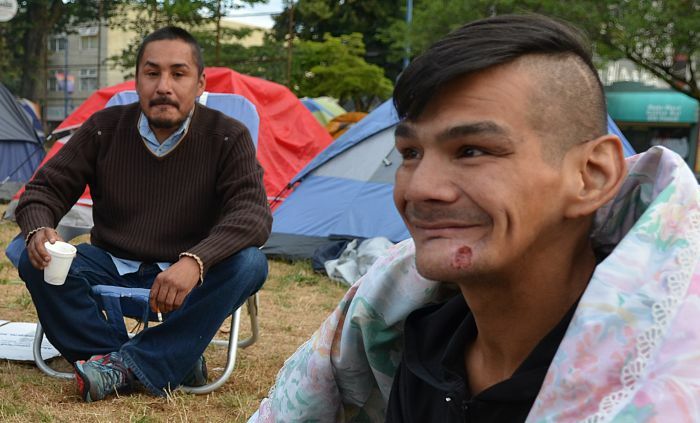 The campers have set up a tent village in the Downtown Eastside's Oppenheimer Park to demand real housing for the homeless and have invoked their sovereignty over the site. 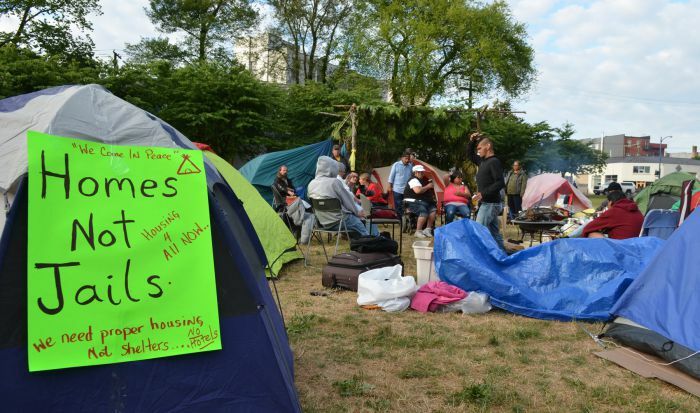 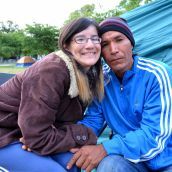 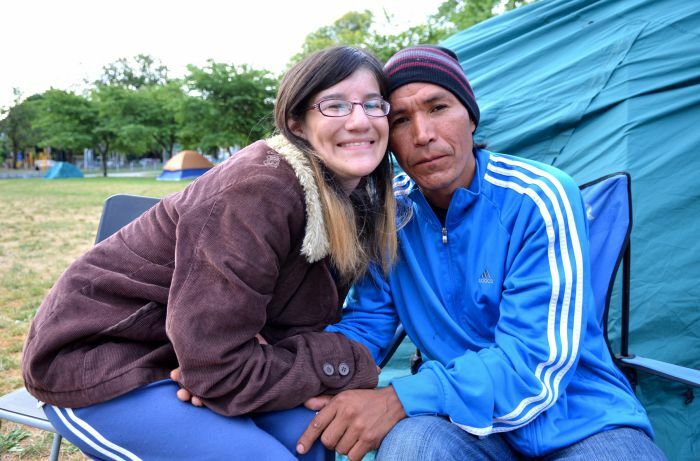 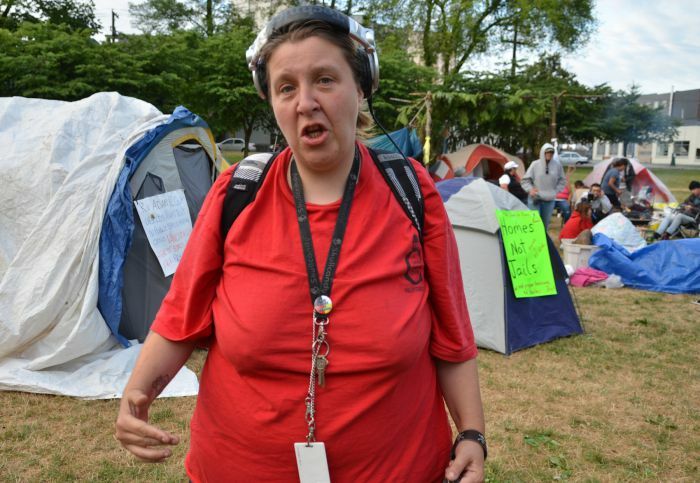 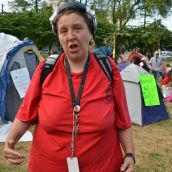 Two eviction notices presented by the Vancouver Police have been ignored and the City has been issued an eviction notice by the campers. 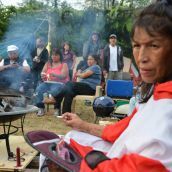 The indigenous activists say the City has no right to try to evict them from their unceded land. 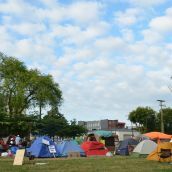 Protesters met with City officials today (Tuesday) but came away with only vague City promises to back off and restore access to public toilets if the protesters remove their tents from the tent village. 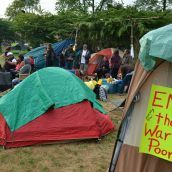 A delegation of campers met behind closed doors with City nano-manager Penny Ballem and part-time Vision councillor Kerry Jang. 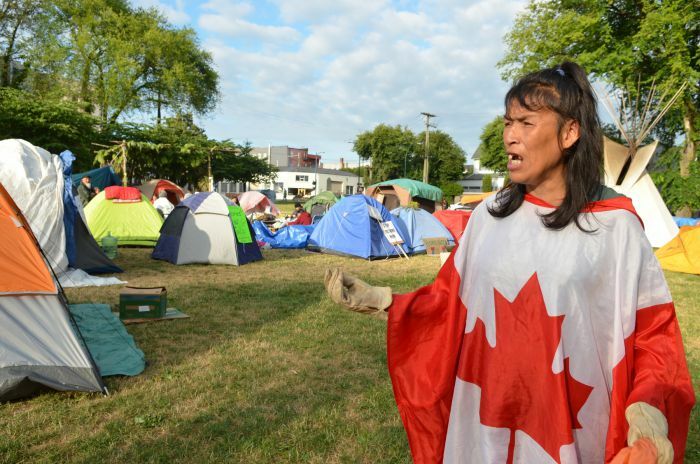 Jang and mayor Gregor Robertson blamed the province for their party's failure to stem homelessness as promised. 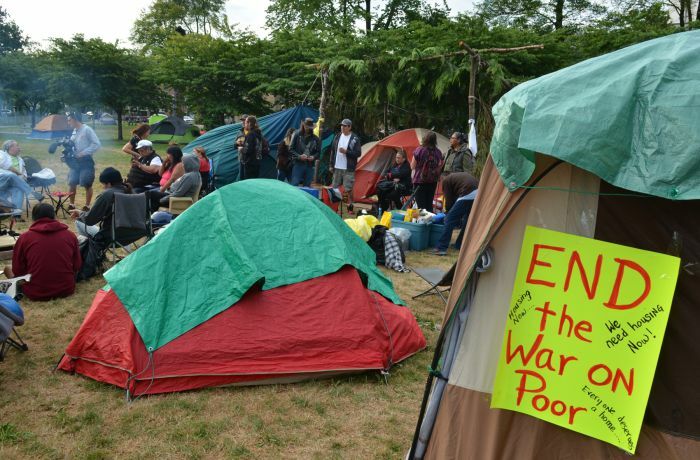 The villagers say they will hold out for real action. 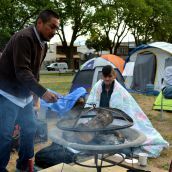 thanks for the coverage, Murray! 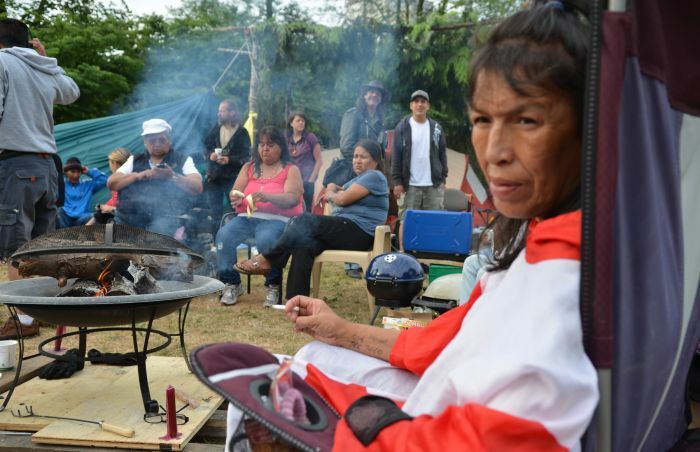 And what happened to the cedar longhouse?